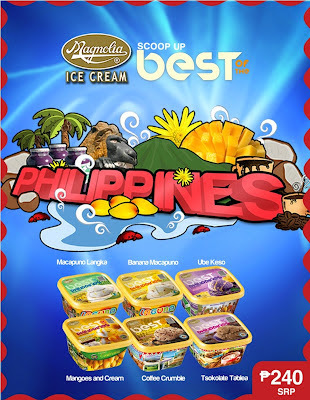 The Food Alphabet and More: Magnolia ice cream presents the best of the Philippines! 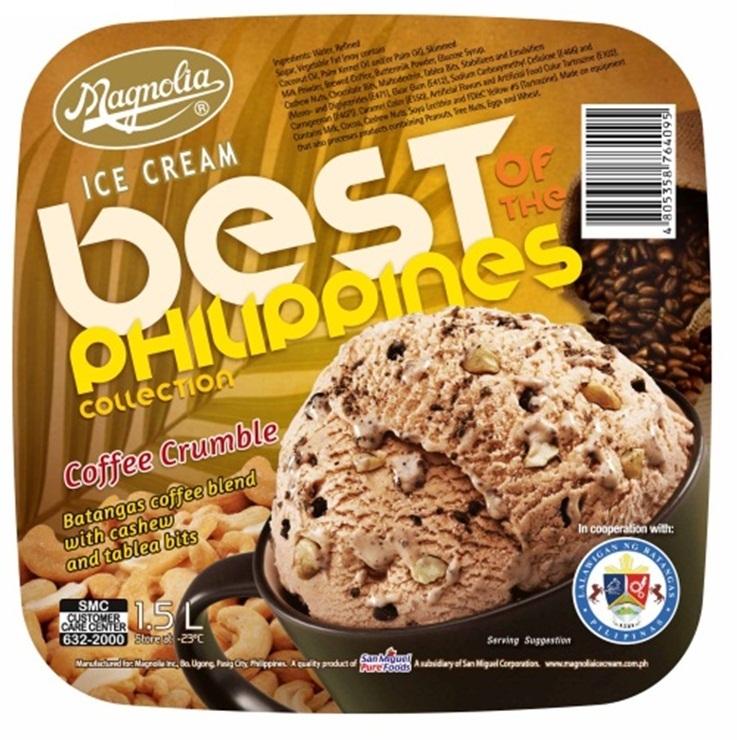 Magnolia ice cream presents the best of the Philippines! It’s More Fun Eating Magnolia Ice Cream! 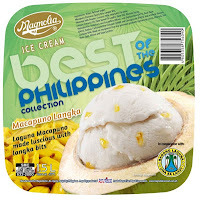 The pioneering ice cream brand in the country announced its Best of the Philippines (BOTP) flavor collection like Macapuno Banana and Macapuno Langka for the province of Laguna and Coffee Crumble and Tsokolate Tablea for the province of Batangas. 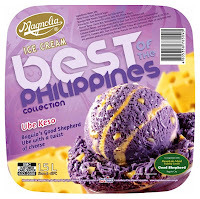 MIC General Manager Mayo Alcon said that the flavors best represent these provinces in the same way that the brand promoted Guimaras through its Mangoes and Cream and the Baguio Good Shepherd with the Ube Keso variety. “We are happy that these provinces agreed to be featured for our new Magnolia Ice Cream flavors. 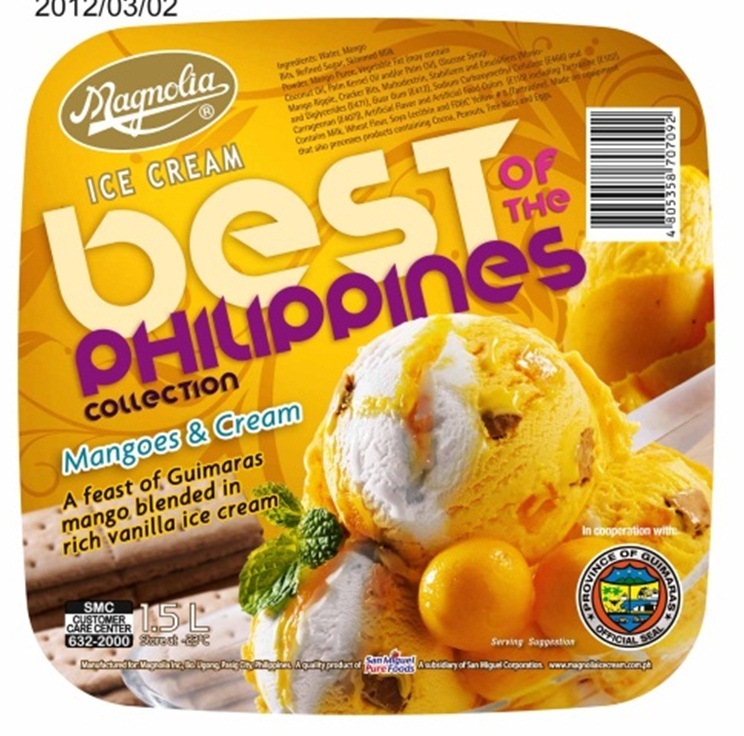 We are hitting two birds with one stone by promoting our new flavors and the country’s tourism program,”Alcon said. 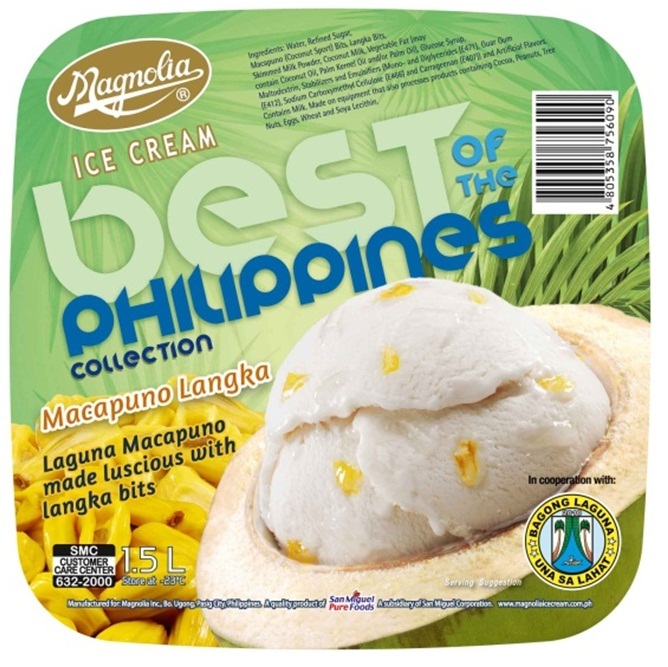 Alcon thanked Laguna Gov. Jeorge “ER” Ejercito Estregan and Vice Gov. Mark Leviste along with Department of Tourism secretary Ramon Jimenez, who graced the press launch at the San Miguel Corporation (SMC) head office in Mandaluyong City. 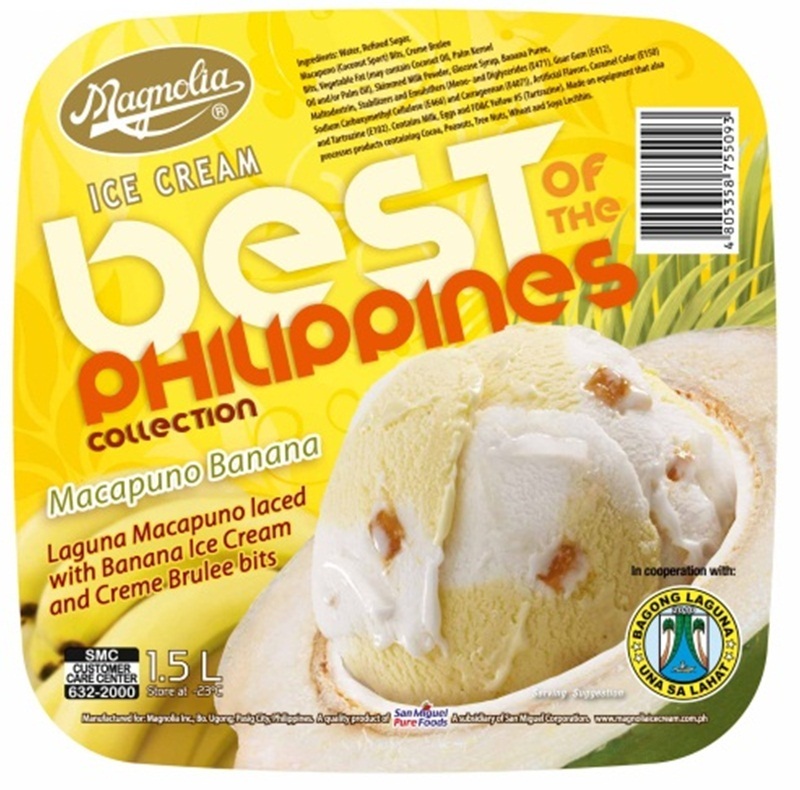 The tubwrap of Laguna’s Macapuno Banana and Macapuno Langka flavors will feature tourist spots Rizal Shrine, Hidden Valley, Pagsanjan Falls, St. Peter Alcantara Church and Mt. 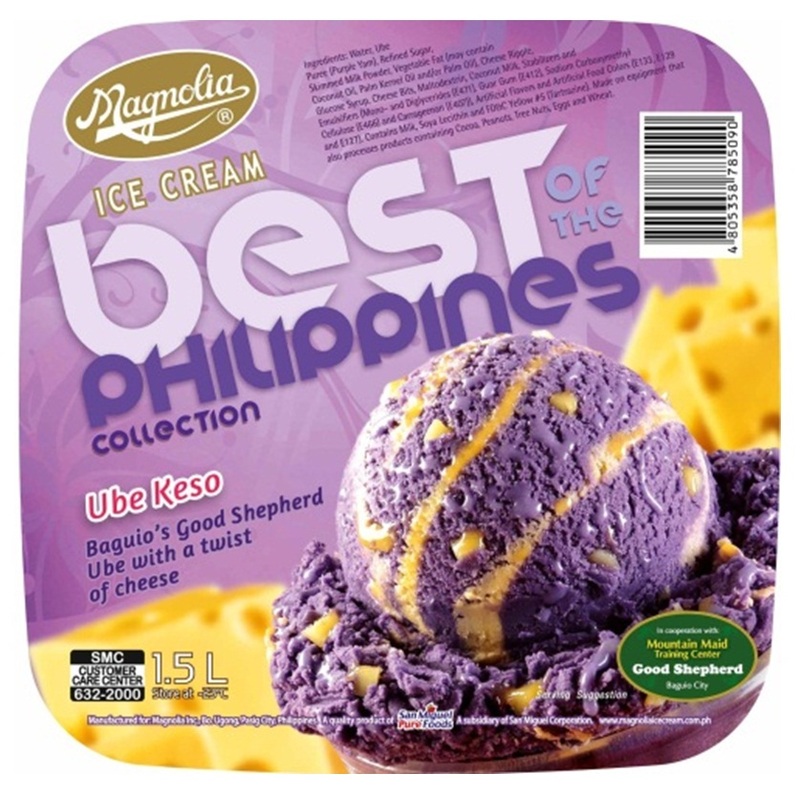 Makiling as well as the Anakalang and Luisiana Pandan Festivals. 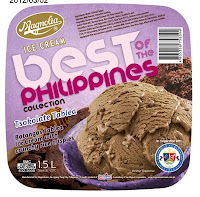 The Batangas tubwrap highlights the Mt. Carmel Church in Lipa City, Taal Park, Calaruega Church, Jaybanga Lobo, Taal Volcano, Ambon-Ambon Falls, Malabrigo Lighthouse, Fantasy World, Mt. Malarayat, Acuatico San Juan Laiya and Cintal Coritos Garden Resort along with the Ala Eh Festival. 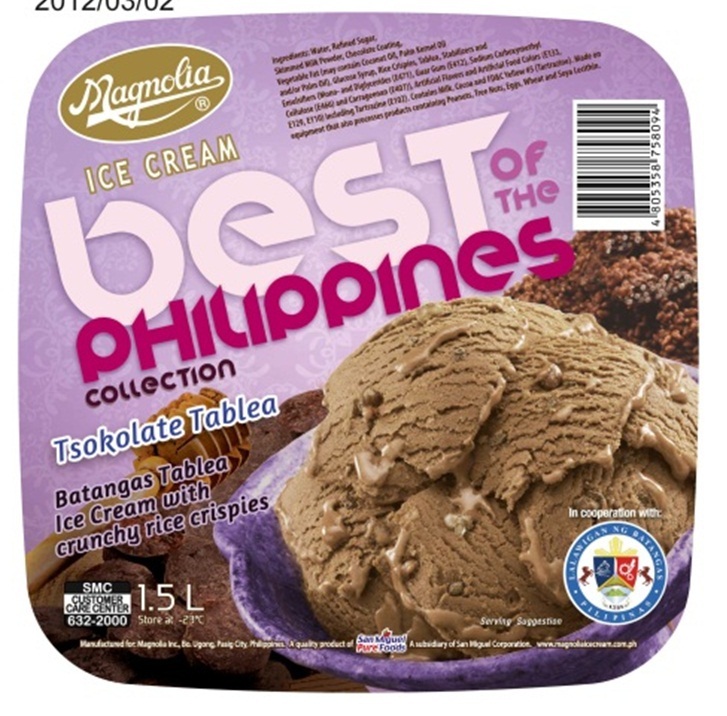 Both BOTP and Double Gold varieties are available in 1.5L sizes. 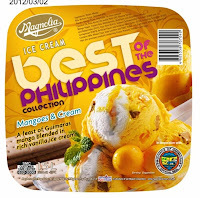 Magnolia Ice Cream also introduced two new additions to its Frozen Delights line - Fizz, a mix of rootbeer and vanilla ice cream on a stick, and Cookie Monster, a four way choco-monstrous ice cream sensation, both being endorsed by teen star Elmo Magalona. This is why I love Yummy Eats! Winner of Yummy Eats tickets! Yummy Eats 2012! Win tickets here!